Another instance in which I bought fabric and didn’t see what kind it was. Luckily it was a big scrap piece that was enough for this skirt. I really wish I knew what kind of fabric I used. All I know is that it was a nightmare to sew. 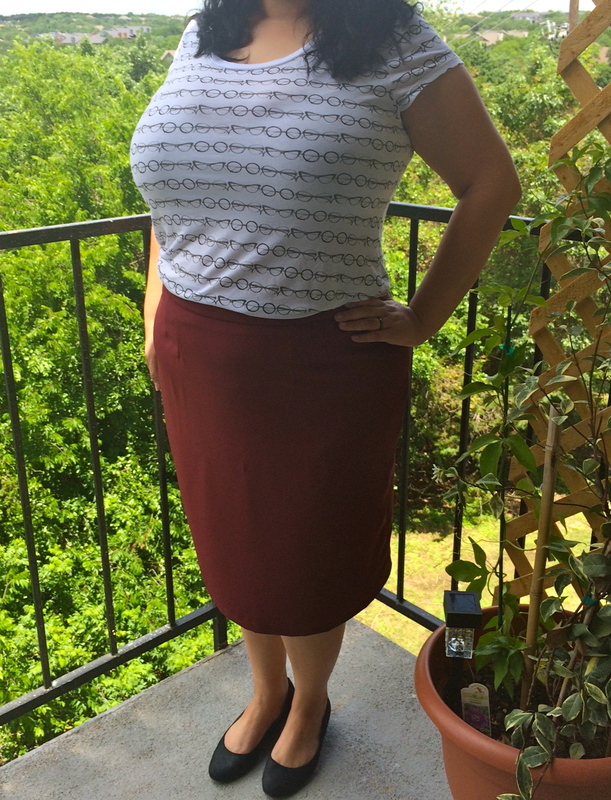 I was super excited to make this Simplicity 1960’s vintage repro pencil skirt! 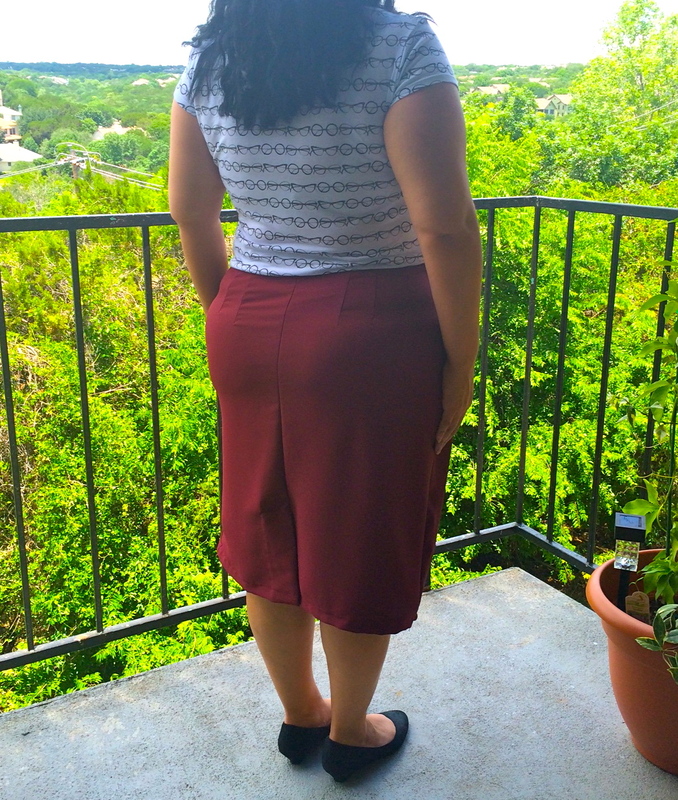 Until I started to make it…I didn’t take my own advice when it came to setting this skirt aside due to frustration. 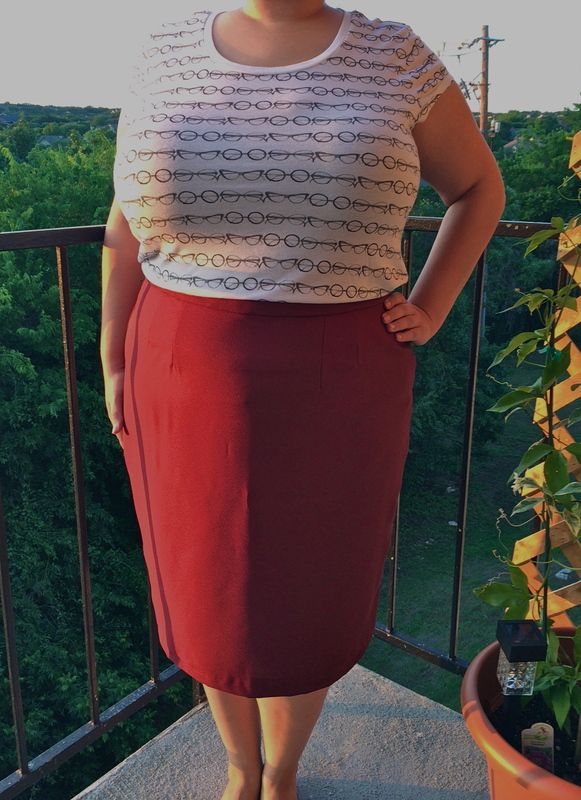 I tuckered on for TWO WEEKS getting this skirt made so you better believe I’m going to vent about the experience LOL. First off, this shouldn’t have been as difficult for me as it was. The instructions were clearly written and there was only four pieces to sew together. It was the fabric….I swear this fabric came straight from the depths of hell. It was heavy and textured, yet super slippery! As I was pinning the pattern to the fabric I had to keep adjusting it because it kept moving. Even though I took extra care during this step the pieces weren’t perfect and of course, I’m using stash fabric so I had to deal with the imperfections and continue. Another first for me was the kick pleat in the back of the skirt. I think it could look better but not too shabby for a first attempt! Things were going swimmingly so I didn’t expect to have any other roadblocks until I got to the waistband *whomp whomp*. The instructions tell you to hand sew the waistband on the inside of the skirt using a blind stitch. I pinned the hell out of the waistband and as I was sewing waistband kept sliding around and was crooked. At that point I decided to take it to the machine and stitch in the ditch. It worked! Onward to the lapped zipper…something I’ve never done before and I still have yet to do. Once again, my fabric was shifting and every time I got close to getting it right, I failed. Time to sew the hem with a blind hem stitch! SAME PROBLEM as before…perfect pinning that didn’t matter because the fabric is evil. I eventually used the machine to finish the skirt even though I really tried to follow the instructions to a T. Sometime you have to take short cuts! After this experience I swear I won’t ever use this type of fabric. Despite the seemingly endless list of problems, the skirt came out well and I’ll definitely use this pattern again with a stiffer fabric. I hope this doesn’t deter you from trying to make it for yourself! Yes, it does look good on you. I can’t tell at all that it gave you trouble. Perfection, as always!